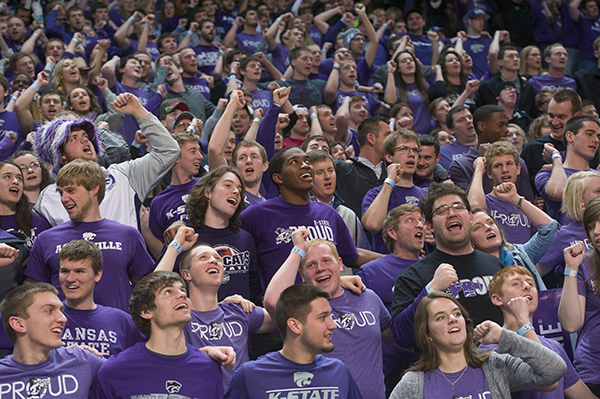 In the eighth year of the student-led K-State Proud campaign, a record-breaking $133,645 was raised to benefit Student Opportunity Awards. The grand total now stands at just over $833,000! Everyone who donates a minimum amount of $20 receives a campaign T-shirt, which also promotes the K-State brand. Cox Communications and GTM provide important corporate sponsorship each year. Since the first year of the campaign, students have established a culture of philanthropy by promoting the idea of “students helping students,” through Student Opportunity Awards, more than 450 of which have now been awarded to students. Learn more about the awards and meet some of the award recipients.